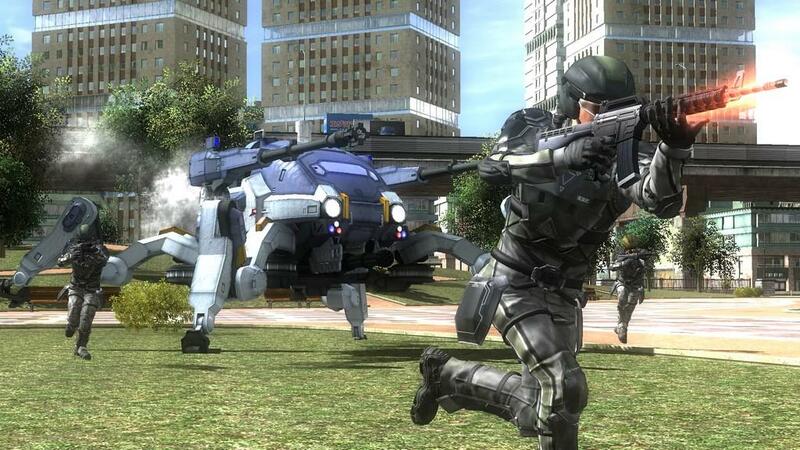 Earth Defense Force games have been around for some time, but it seemed like there was always one thing that kept those games from being great: The frame rate. 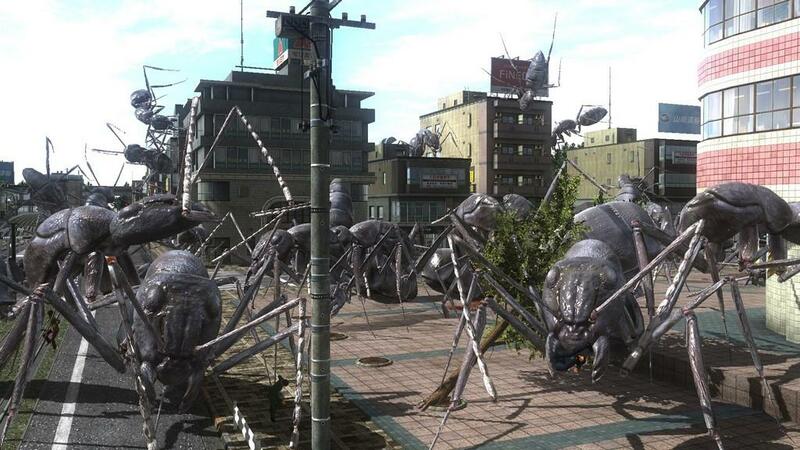 For those unaware, Earth Defense Force is a game where you and your fellow soldiers defend Earth from swarms of gigantic enemy insects. You aren't fighting one giant insect, or two, or even 10. We are talking close to 100 enemies onscreen at once. Combine that with completely destructible environments and you can easily see why the frame rate takes such a beating. 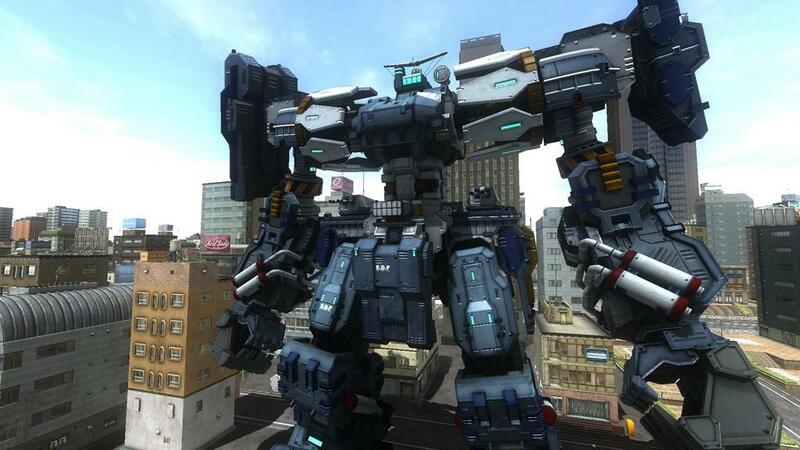 This game is a re-release of Earth Defense Force 2025 with additional features, and says that the game runs at a "steady 60 FPS." So, does it? Well, no, but at the very least, it won't drop to the point that it makes the game unplayable. 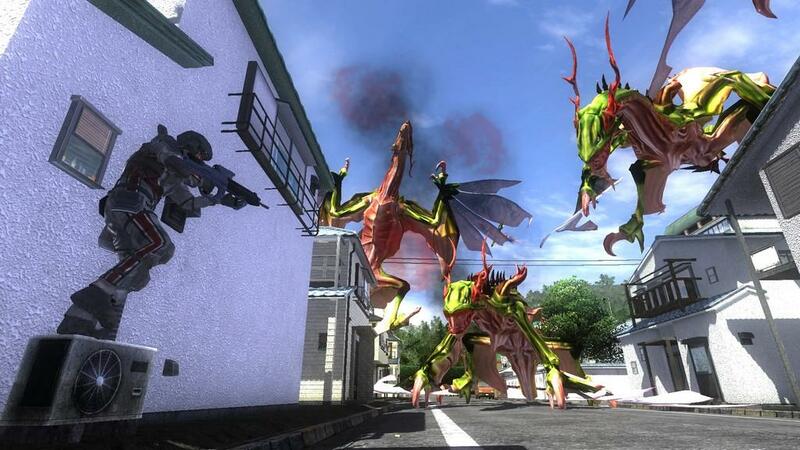 Earth Defense Force 4.1 is an incredibly fun and addicting game that features plenty of variety and replay value. When you first start the game, you will have to decide what class you want to play. There are four different classes you can choose from. The first is the "Ranger" class and will probably be the class that most people should start out with. The Ranger class is the balanced, military-type class. You will have a wide variety of weapons at your disposal, including assault rifles, shotguns, sniper rifles, grenades, grenade launchers, homing missiles, missile launchers, and more. While the other three classes have unique traits and are great in certain situations, the Ranger can be almost anywhere at any time. 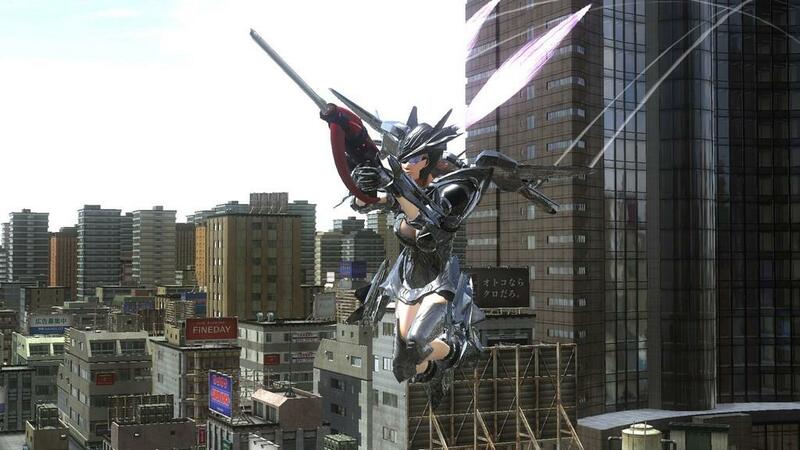 The second class is the all-female "Wing Divers," and they utilize plasma weapons and lasers. Like their name says, the Wing Divers can fly for a short period, which is great if you get mobbed by enemies. The downside to Wing Divers is that your ability to fly, along with the ammo in most of your weapons, is regulated by your energy meter. It is absolutely vital that you keep an eye on your energy meter, because if it runs out, you will be a sitting duck, as you won't be able to fly or use any weapons until your meter fully recovers. The third class is the "Air Raider." This class is pretty difficult to use if you are playing single-player. The reason is because this class focuses on supporting the team by calling in air strikes, vehicles, turrets, and more. He does, however, have the tools to be able to hold his own, as in the ability to carry more weapons, most of which are long range. The other downside to the Air Raider class is that your air strikes and such can take awhile to reload. The final class is the "Fencer." It's the most difficult to use in the game. The reason for this is because they have different controls and handle differently from the other classes. 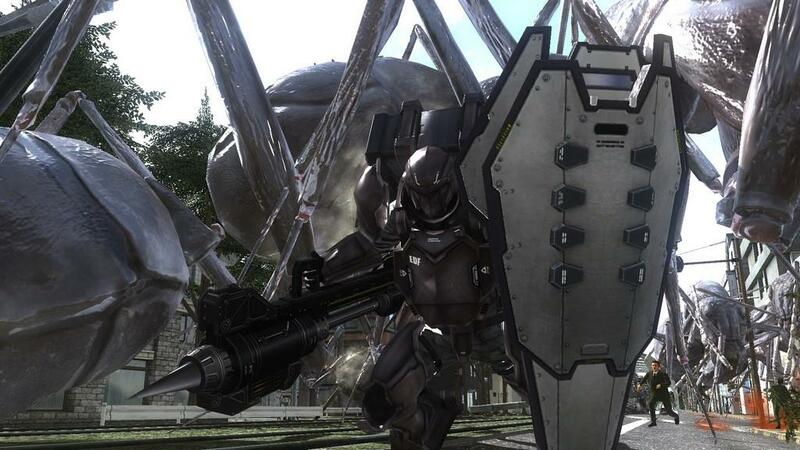 Fencers are pretty much the tank of the group and can dish out massive damage via dual-wielding weapons, and can bring up to four weapons into battle with him. Everything from cannons to miniguns to explosives, and they even have a shield which can block incoming damage. The huge downside to the Fencer class is that they are incredibly slow. 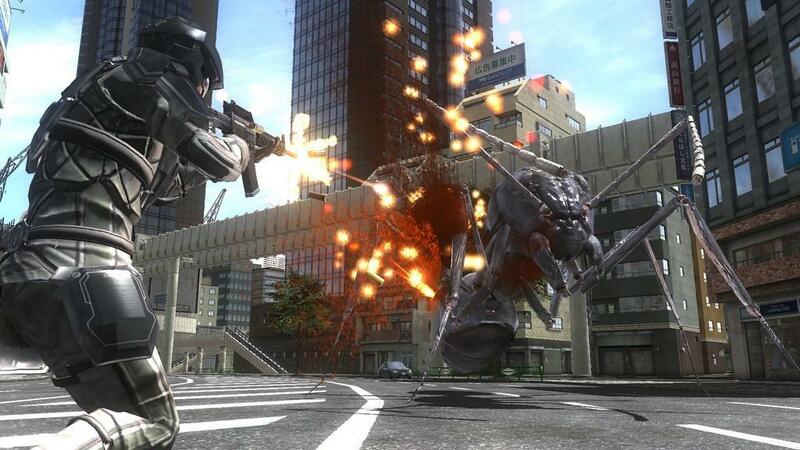 Now, if you have never played an Earth Defense Force game before, you have one simple goal: Kill insect scum. Yup, the earth in being invaded by gigantic insects including ants, spiders, hornets, oh, and giant robotic creatures as well. Before each mission, you will select your loadout and then head out to the battlefield. It's very important to read the briefing of each mission, as there are certain weapons which work much better on certain missions than others. If you are going to be in tight spaces, like if you are venturing underground into an insect nest, you will want to bring with you explosives, like grenades or a grenade launcher, and a close-quarters weapon like a shotgun. Likewise, if you are in the middle of the city, it might be a good idea to bring a long-range weapon, like a sniper or a plasma canon, and maybe a heavy-duty homing missile. While on the battlefield, you are going to want to pay attention to any squads that may be wandering around the area. If you walk near these squads, they will be under your command and can help you out. 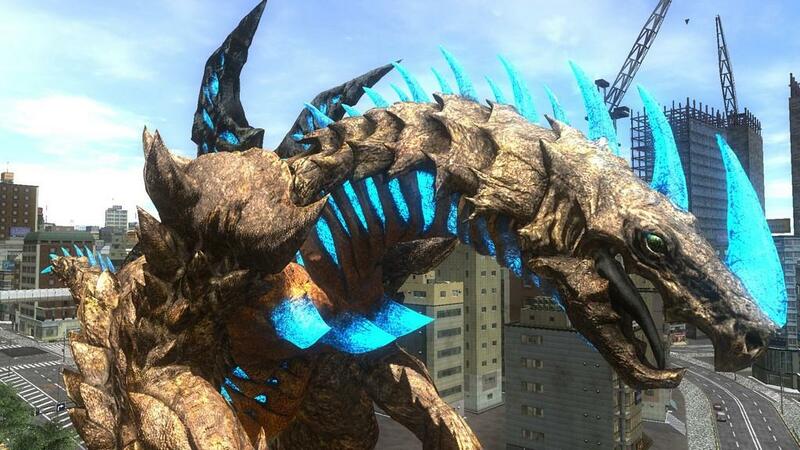 Usually, though, it's a good idea to use these guys as decoys so the enemy will focus on them instead of you. You should also pay attention to the map because killing insects drops very important loot that you will want to pick up. This includes health, armor which boosts your total armor ratings, and new and more powerful weapons to bring with you on missions. The earlier missions pretty much play out the same, and the game may seem like it will be repetitive, but, thankfully, as you move on, you will start getting objectives in the missions. There isn't much story aside from a few cutscenes, but this is one of those games where the progression of each mission tells the story itself. 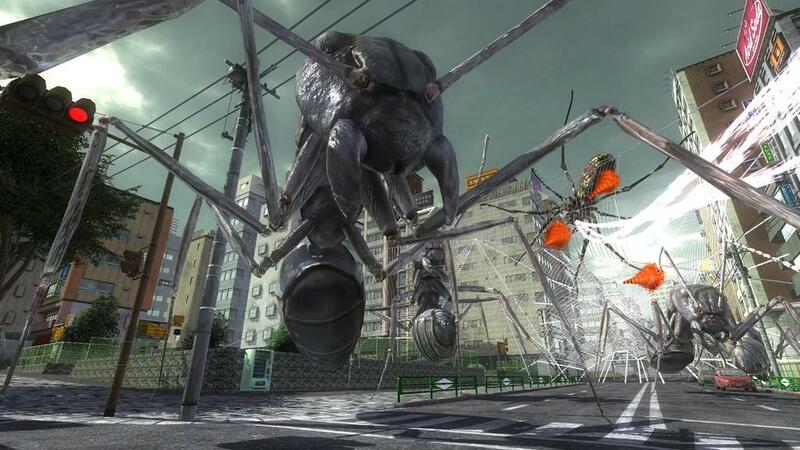 In the beginning, you find out that the giant insects were not actually extinct (as was thought from the previous Earth Defense Force), and have come back after several years in hiding. It's time to save Earth and kill insect scum. That's really all the story you need, but the way the missions progress makes you feel like you are part of an actual war. You could get a set of three or four missions where the insects appear in one mission, they call in Wing Diver support in the next mission, but then the Wing Divers get caught in spider webs and you need to save them. Or you could get missions where you discover their hidden underground base, go into the base in the next mission, and then to clean out the base in the final mission. Then there are sets of missions—and these are my favorite—where motherships will start showing up and dumping hundreds of enemies on the battlefield. Your first mission is to clean up all the insects they dropped into the city, then, on the next mission, you figure out how to defeat the motherships by firing rockets directly into the mouth of the ships as they open to drop more insects. Seeing a gigantic mothership blowing up from the inside out before crashing down to the ground is such a beautiful sight that never gets old. Now, seeing as this is on the PlayStation 4, the frame rate issues should be taken care of, right? Well, almost. I will say that the game doesn't stick to a consistent 60 FPS, but, for the most part, the frame rate is at least good enough to be able to play the game without throwing up. The part where the frame rate takes the most punishment is when a lot of things start happening on screen at once. I found that the frame rate would tank whenever buildings would start collapsing, or when motherships would start dumping tons of enemies onto the battlefield at once. That being said, the frame rate doesn't dip to a point where the game becomes unplayable, and would usually recover after a few seconds. There is also tons of replay value as well. Like I mentioned before, there are four different classes, each of which play differently, so you could go through this game multiple times to try to complete it with each of the four classes, and, even though the missions are the same, the different playstyles for the classes, both with how they play and the weapons available, offers enough variety and challenge to play through the game multiple times. There are also multiple difficulty settings. These are actually pretty important because certain weapons can only be unlocked when completing levels on higher difficulties. Needless to say, these weapons will help you out greatly when reaching the later levels. Speaking of those weapons, there are tons of them to collect and all of the weapons in the game have levels to them. Obviously, a level 1 shotgun is not as powerful as a level 20 shotgun, so it's worth playing through previous levels again on those harder difficulties to try and find all the best weapons. The game also offers multiplayer via split screen co-op and online multiplayer. I didn't get a chance to try either of them because I didn't have anyone else to play the game with, and, as of this writing, the game hasn't launched yet. After launch, I will update this space with multiplayer co-op impressions. 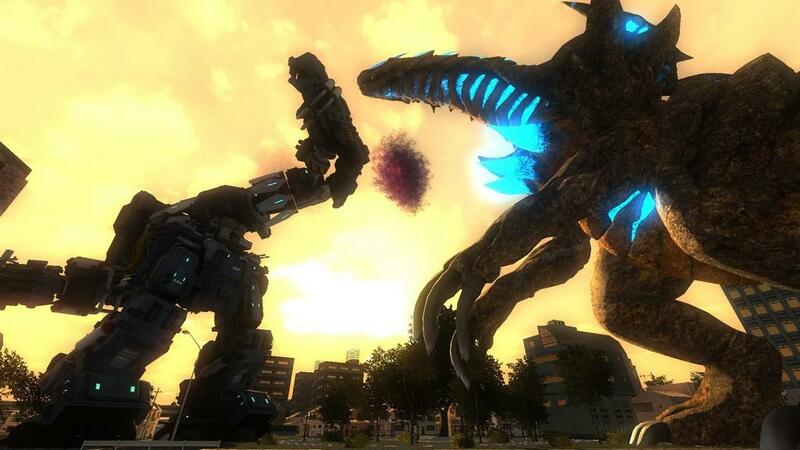 If you already played this game when it was released on last gen, or if you have never played an Earth Defense Force game before, this is absolutely the one to get. It's incredibly addictive and fun. 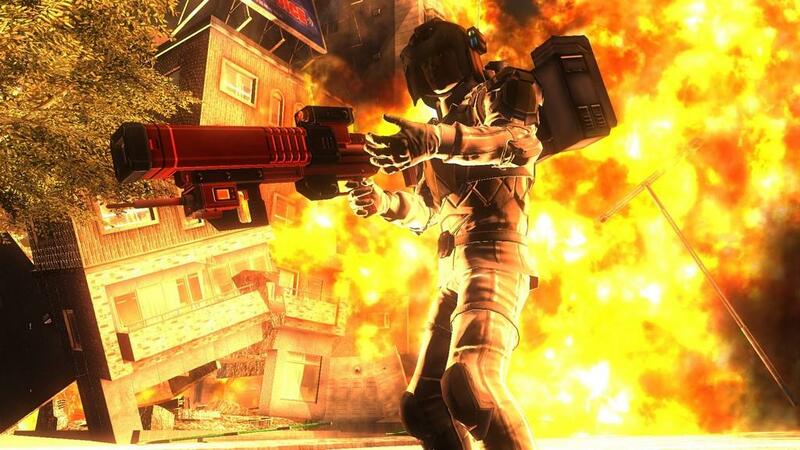 Being swarmed by hundreds of insects, blowing up a building, and having it come crashing down on them while I clean up with my grenade launcher will never get old. There are tons of levels and tons of variety to keep you playing through multiple times. Yes, the frame rate still acts up, but at least it never gets to a point where it makes the unplayable. I thought I had my "Games of 2015" all set, but it looks like I'm gonna have to rearrange my list because this one is absolutely going on it. Killing giant insect scum was has never been as fun and addicting as it is now. 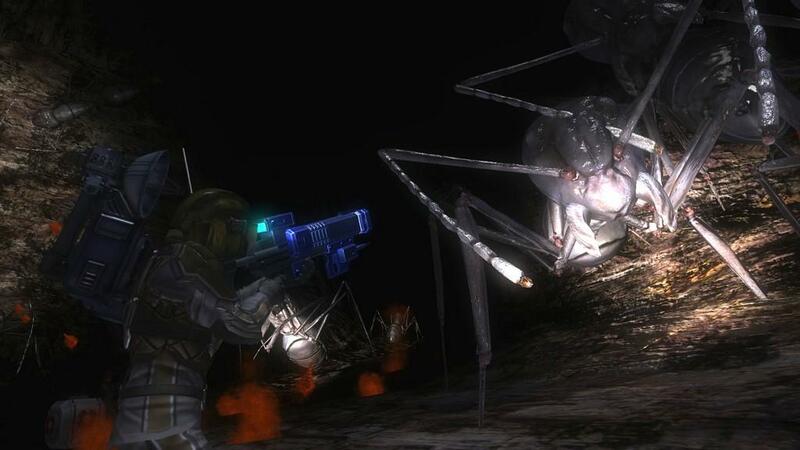 The four different classes provide four different and fun ways to play the game, and there is tons of replay value here to keep you killing insects for many months to come.